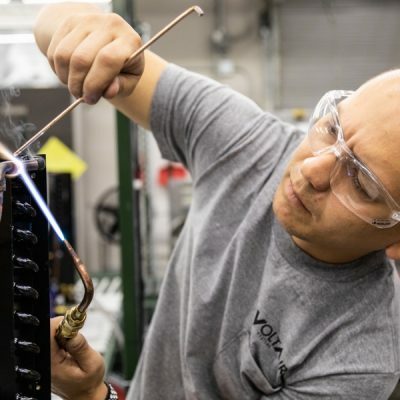 VoltAire offers three product lines of heat exchangers, two for telecom/outside plant applications and one for industrial applications: Series HTX Cross Flow Telecom, Series HTC Counter Flow Telecom, and Series HIX Cross Flow Industrial. The standard cross flow product line includes nominal capacity of 18W/F to 55 W/F in DC and AC voltages and the standard counter flow include nominal capacity of 15W/F to 30W/F in DC voltages. If necessary, custom sizes and capacities are available for your specific design requirements. All Series are closed loop with NEMA 3R UL certification. However the cross flow telecom line addresses and corrects an ongoing industry design and maintenance flaw by using VoltAire’s patent-pending rainwater deflector. 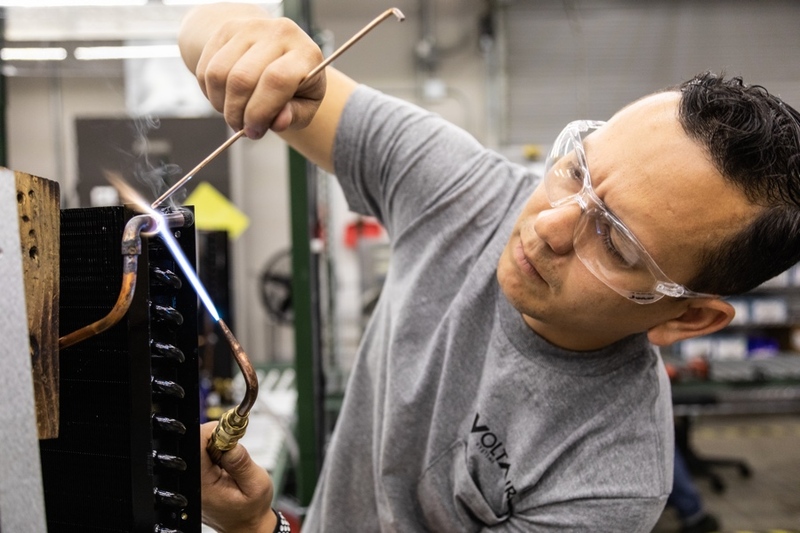 In addition to NEMA 3R certification, our standard telecom and industrial lines of heat exchangers are UL certified and inspected per ANSI Standard 1995. These features are added for additional safety precautions and product quality. 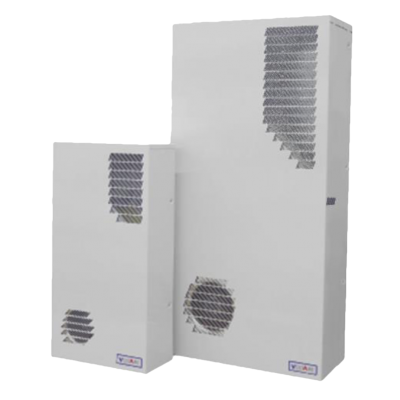 VoltAire Systems HIX (Industrial) and HTX (Telecom) Series Cross-Flow Heat Exchangers are designed to remove heat from cabinets that have sensitive electronics or telecommunications equipment. All of our heat exchangers are closed loop cooling, ensuring an interior cabinet environment free of dust and humidity. 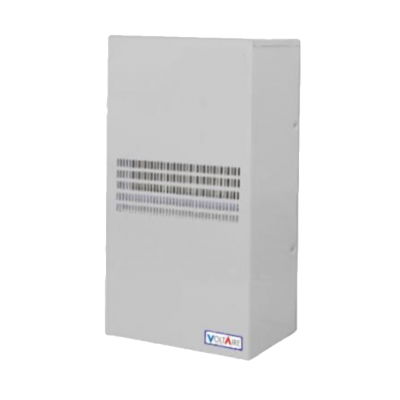 VoltAire Systems HTC Series Counter Flow Heat Exchangers are designed to remove heat from cabinets that have sensitive electronics or telecommunications equipment. All of our heat exchangers are closed loop cooling, ensuring an interior cabinet environment free of dust and humidity. HIX Series heat exchangers are designed for interior use in industrial applications. They may be provided with epoxy-coated cores or other corrosion protective options, such as stainless steel. Let our team of engineering and sales specialists put their decades of experience to use in helping you find the perfect solution to your application. ©2019 VoltAire Systems. All Rights Reserved.